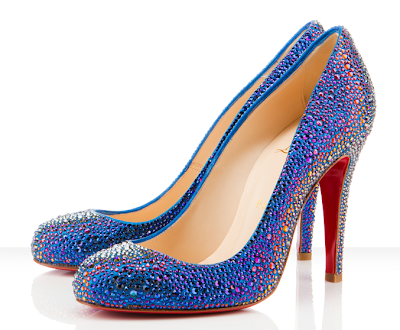 Imagine you were a princess, much like Cinderella since she had a fine fascination with shoes. If I were her, I would have gone back and gotten the shoe when it fell off...clearly they didn't look like these Samira Strass Christian Louboutin's. You're welcome. Photo from Christian Louboutin website. With all the hype surrounding the royal wedding, I'm taking complete advantage of it this week and having royal-inspired posts. Today's items are amazing designs inspired by Kate Middleton. There is no doubt her style is oh-so-British and I love that she is a new, elegant fashion icon already. This post is based around her engagement ring, once Princess Diana's, and the deep royal color of the sapphire. I love sapphires and secretly wish my birthday was in September to have that birthstone but I'm still ok with my December blue. These picks are certainly fit for a princess' budget, but as long as we are dreaming, let's go all out with it shall we? 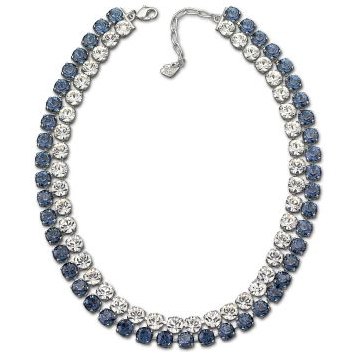 Swarovski's Hot Montana Collar necklace shimmers just enough to be a classy princess item. Photo from Swarovski website. Kate has made hats and fascinators all the rage again. 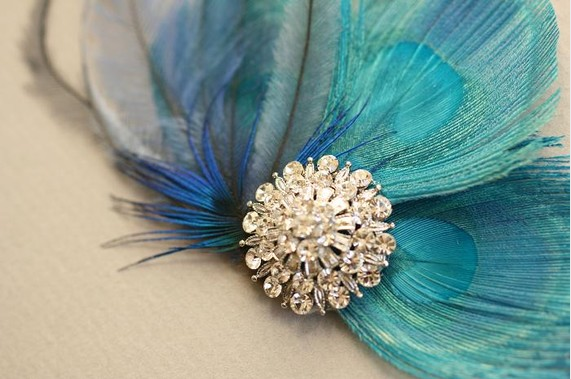 This Duffy Peacock Headpiece by portobello on Etsy is a bit more toned-down and smaller but does the trick to add that extra oomph to your locks since we simply can't wear a tiara everyday. Photo from Etsy. 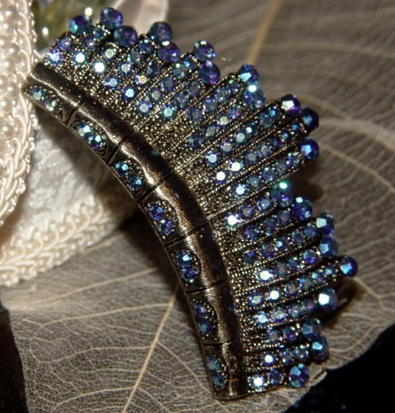 Another perfect headpiece to replace a tiara and still be princess-worthy is this Navy Blue Crystal Rhinestone & Marcasite Stone Beaded Hair Comb by IslandGirlDesigns, also on Etsy. Photo from Etsy. 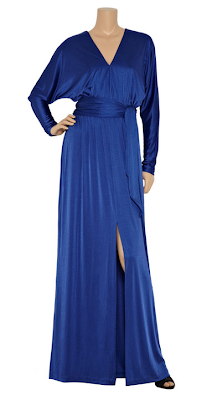 This Halston Heritage dress is a slightly more elegant version than Kate's Issa dress at her engagement announcement, but just as classy and perfectly wrapped in the stunning sapphire shade. Photo from The Outnet. On her tours of the United Kingdom, Kate has had an adorable collection of outerwear to display. 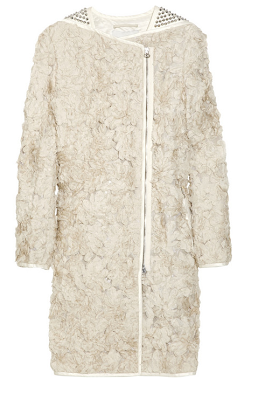 However, this 3.1 Phillip Lim Silk Flower & Stud-embellished coat is a great update for a modern princess. Photo from Net-a-Porter.